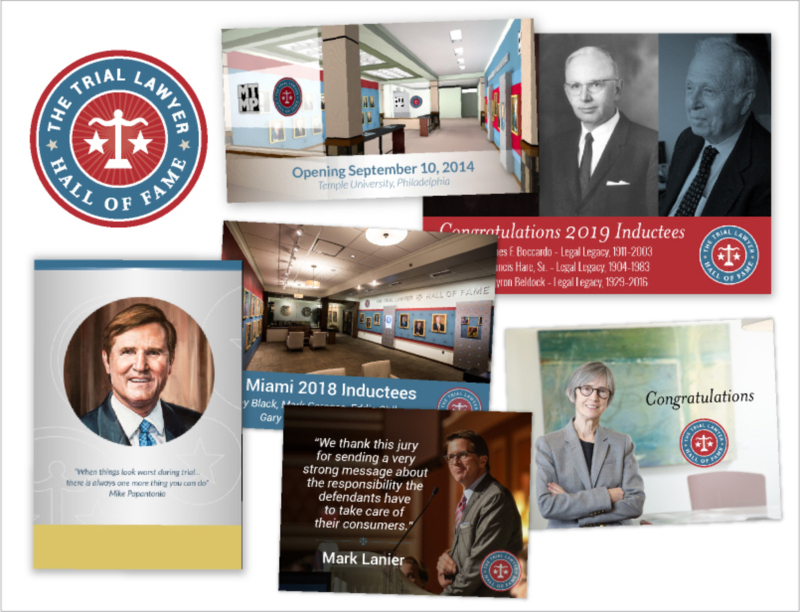 The Trial Lawyer Hall of Fame, at Temple Law School in Philadelphia, hired Power Design to create their identity, consult on brand integration in the physical location, design content kiosks, create digital media for vertical monitors, develop a WordPress website, and produce various supporting print collateral. The successful, ongoing relationship includes website and digital media content updates. 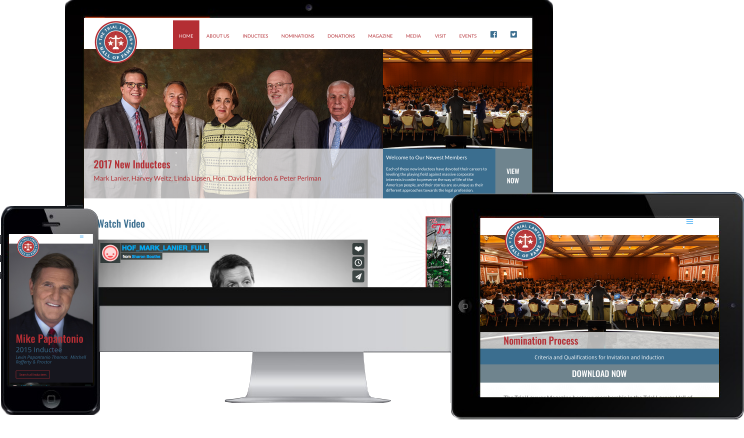 When the Trial Lawyer Hall of Fame found a home at Temple University Law School, we were a brand new organization with no logo and no branding – we were a blank slate. Power Design partnered with me to create a whole image for the Hall of Fame – website, logo, stationary, video library, and Facebook page. In addition, they collaborated with the team that designed the actual Hall of Fame itself at Temple to create the design elements of the venue. The look and feel of the branding was key to the launch of this new venture because it needed to be both contemporary yet classic, and Power Design was able to incorporate new and innovative designs into a professional and interesting design scheme for the project.